First and foremost, on behalf of the faculty and staff of Universiti Kuala Lumpur Business School, I would like to extend my warmest welcome to our website. Students, alumni, community partners, parents, and friends. I hope you will have the opportunity to have a glimpse of our informative and engaging pages which highlight not only the exciting changes taking place within the school, but also the outstanding students, faculty, and staff that make us a unique and outstanding academic community. As the Dean and faculty member, I have been deeply committed to the school’s growth and development since its establishment for almost 10 years. A point of pride for the school is our renowed faculty members, most of whom have worked extensively in industries and who provide a focused, and practical education that emphasizes significant and necessary industrial experience for our students. Their vast industry experience coupled with their cutting-edge research, scholarly work, and advanced degrees allow our students to not only receive world-class teaching but the opportunity to work alongside their lecturers and professors on exciting and meaningful research. To date, we offer one (1) foundation program, six (6) undergraduate programs, three (3) Masters degree programs and one (1) Doctorate program with another two (2) new Doctorate programs which is expected to launch soon. As we continue to innovate and expand the programmes, our charge is clear, that is to discover, disseminate and apply knowledge in business, marketing, finance and accounting fields with unparalleled excellence, integrity, and compassion to enhance a vision for life. Upholding our tagline “Where Knowledge is Applied”, our programmes among others serve as hallmark of our education which allows our students to continue to adapt, grow, succeed as they immediately apply what they are learning in the classroom to the real world. We also encourage academic excellence through remarkable and global university experience by providing international mobility to our student as well as international mobility into our University as an important global agenda for student exposure to culture, lifestyle, technology, social system and economy of international community enhancing competitiveness and soft skills such as communication, entreprenurial, problem-solving, leadership and other skills crucial for the job market. 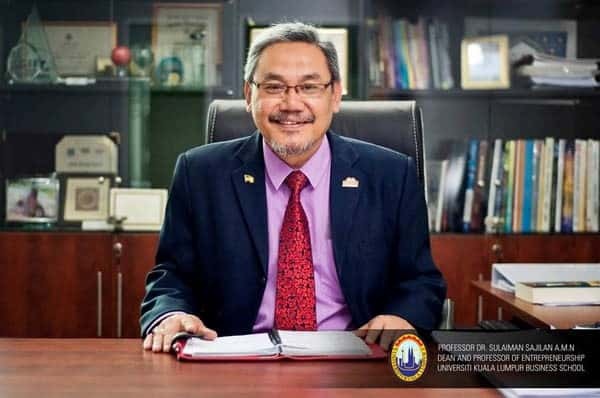 I would like to take this opportunity to invite you to explore our website to learn about our outstanding faculty, staff, students, and community partners as well as the programs and opportunities that await you at UniKL Business School. Apart from that, you will also learn more about our values and commitments. In UniKL Business School, we believe that the success of the school mainly contributed by the success of the students. Hence, we strive to provide programs to prepare the highest caliber accounting and business graduates to serve throughout the world making positive contributions to the business profession. So, lets explore our website to get an idea of the exciting activities that engage our faculty, staff and students, and gain a sense of how you would thrive in our programs!